There are numerous hotels and motels available to meet your lodging needs while you are attending a graduation at Parris Island Marine Corps Recruit Depot. The nearest hotels are located in Beaufort, South Carolina. Located across the street from Southern South Carolina's beautiful Beaufort Bay, the Best Western Sea Island Inn offers outstanding Southern hospitality and convenient access to local historic attractions, all at an affordable rate. This Beaufort boutique hotel boasts 43 well-appointed guest rooms, each equipped with cable satellite television with HBO® and high-speed Internet access. This 100% non-smoking hotel features an array of amenities including a complimentary deluxe continental breakfast, an exercise facility, an outdoor swimming pool, business services and meeting/banquet facilities. Welcome to South Carolina home of the USMC Parris Island Marine Recruit Depot and MCAS Beaufort Air Station. Our hotel is located just a few miles off of I-95 and approximately 20 miles from Parris Island Marine Recruit Depot. Our hotel is pet friendly and includes a microwave, refrigerator and coffee makers in each room. Also included is a complimentary hot breakfast and free WIFI for all guests to enjoy. Our location is centrally located so that you can enjoy historic areas and our scenic beaches on Hilton Head Island. Mention that you are attending graduation and ask for our special USMC rate. Welcome to the Country Inn & Suites Beaufort, where you will enjoy a comfortable stay in an ideal location near charming downtown Beaufort. Hotel amenities include free wireless Internet access, a complimentary breakfast each morning, and a relaxing heated indoor pool. Our convenient location places you minutes from area military bases, golf, shopping and restaurants. Visit the Country Inn & Suites and see what makes us one of the best hotels in Beaufort, SC. Clean. Comfortable. Efficient. The America's Best Inn Beaufort wants to help you feel at home as much as possible when you're on the road. Experience a warm, inviting, and family-oriented lodging choice at a reasonable price at the America's Best Inn Beaufort hotel with your complimentary breakfast, and free local calls. Welcome to the best hotel in Beaufort, SC! You'll discover Southern hospitality and charm at the new Holiday Inn Hotel Beaufort, nestled in the heart of South Carolina's Lowcountry. Our location is just off Highway 170 and Route 21 and overlooks the Beaufort River in Beaufort, SC, an antebellum seaside town surrounded by history and beauty. Our hotel in Beaufort, SC welcomes the family and friends attending the year-round graduation ceremonies at the Parris Island Marine Recruitment Center, six miles from our hotel. Our guests can relax around our indoor heated pool & whirlpool or enjoy a workout in the fitness center. 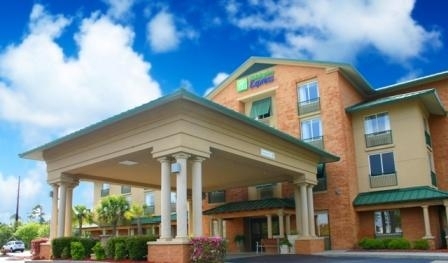 The Holiday Inn Hotel Beaufort welcomes you with top-notch service and true Southern hospitality. Look forward to a warm welcome and southern hospitality at Days Inn Port Royal hotel, near Beaufort and home to Parris Island Marine Base. We provide free Daybreak continental breakfast and a free USA Today in addition to free Wi-Fi Internet access. Each room comes equipped with a microwave and refrigerator, and non-smoking accommodations are available. Cool off in our seasonal outdoor pool, and fuel up any time with free coffee and fresh fruit in the lobby. Kids 17 and under stay free with an adult at our pet-friendly Port Royal, SC, hotel. DINING OPTIONS. Opt for the seafood specialties and waterside views at 11th Street Dockside. Family-owned Barbara Jean’s in nearby Beaufort offers mouth-watering concoctions with a Southern bent, while Carolina Wings & Rib House flavors range from mild to beyond blistering. Welcome to the brand new Comfort Suites, located in the heart of historic Beaufort. The Marine Corps Recruit Depot Parris Island is just minutes away. Your Morning Breakfast is full of hot and delicious options, making breakfast at the Comfort Suites the perfect way to start your day. Enjoy our free hot breakfast featuring eggs, meat, yogurt, fresh fruit, cereal and more, including your choice of hot waffle flavors! All spacious guest rooms are well-appointed and come equipped with microwaves, refrigerators, coffee makers, hair dryers, irons and ironing boards. Some rooms include whirlpool bathtubs. The Sleep Inn® hotel is conveniently located in historic Beaufort, just one mile from the University of South Carolina Beaufort. 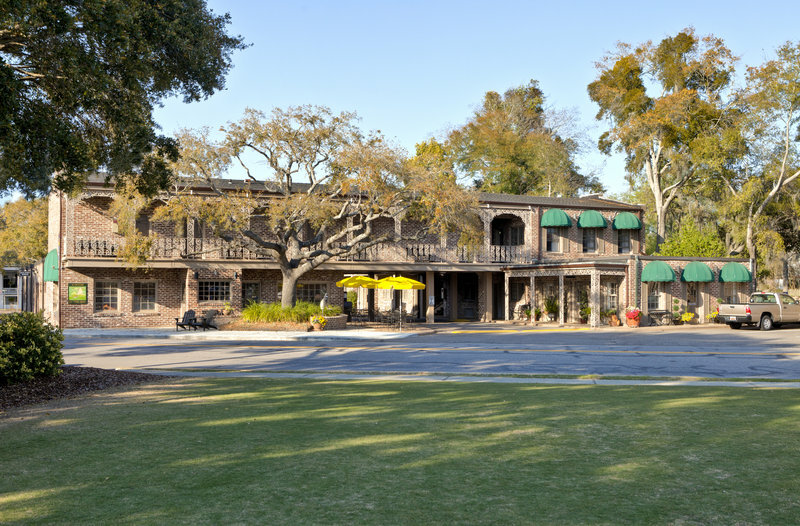 This Beaufort, SC hotel is just minutes from Hunting Island State Park, Marine Corps Air Station Beaufort and Marine Corps Recruit Depot Parris Island. Hilton Head Island is 35 miles and Savannah-Hilton Head International Airport is 45 minutes away from the hotel. Hampton Inn Beaufort is located in Beaufort is just 5 miles from Parris Island MRCD. Wireless Internet access is available in public areas. The hotel serves a complimentary hot and cold buffet breakfast. Guest parking is complimentary. Guestrooms at Hampton Inn Beaufort feature coffee/tea makers and complimentary bottled water. Refrigerators and microwaves are offered. Wireless Internet access is available. In addition to desks and complimentary weekday newspapers, guestrooms offer phones with voice mail, as well as free local calls (restrictions may apply). Televisions have premium satellite channels, video game consoles, and pay movies. Also included are safes and windows that open. Welcome to the Super 8 Port Royal/Beaufort, a close hotel to Parris Island. Make us your home-away-from-home while visiting South Carolinas famous Low Country beaches and historic sites. Great rates for visiting US Military families. We feature 38 clean and well-appointed rooms with free local calls. Full amenities for the business or leisure traveler. Centrally located between Historic Downtown Beaufort and Parris Island US Marine compound - just minutes away. See you along the way. No Pets Allowed. Beaufort, SC with over 500 years of history by the sea offers a wonderful menu for everyone. Parris Island - Marine Corp recruit training depot is 5 miles. Begin your day by joining us for our deluxe continental breakfast. A variety of pastries, muffins, cereals, toast, juices, coffee, and tea are waiting for you. After a busy day, relax poolside or enjoy the scenery from your river view room. Property amenities include Free Continental Breakfast, Free High Speed Wireless Internet Access, Outdoor Seasonal Swimming Pool, Interior Corridors. Room amenities include Micro-Fridge, Coffeemaker, Hairdryer, Iron & Board, Clock Radio, and Cable TV with HBO. No Pets Allowed. Hilton Garden Inn Beaufort is located in Beaufort. Recreational amenities include an outdoor pool and a fitness facility. This 3 star property has a business center. Wireless Internet access is available in public areas. Guest parking is complimentary. This is a smoke free property. Guestrooms feature coffee/tea makers and complimentary weekday newspapers. Accommodations include refrigerators and microwaves. Wireless Internet access is available. In addition to desks, guestrooms offer direct dial phones with voice mail, as well as free local calls (restrictions may apply). Guestrooms are all non smoking. Notifications: There are no room charges for children 16 years old and younger who occupy the same room as their parents or guardians, using existing bedding.